Dedicated donors from the Addison Reserve, Gold Coast, St. Andrews and Polo Club communities gathered for a festive community celebration at the Polo Club on January 21. Guests enjoyed an elegant cocktail reception, dinner, and a keynote address by Ambassador Daniel Shapiro, a former U.S. Ambassador to Israel, who shared fascinating insights on the political relationship between the leaders of the United States and Israel. Federation Board Chair Anne Jacobson delivered a compelling pitch, highlighting Federation’s Transportation Services for seniors and a miraculous Aliyah rescue story, just two examples of the many life-saving initiatives that Federation is involved in every day. 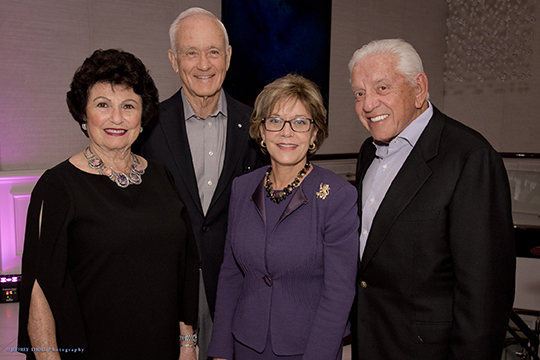 The event was co-chaired by Jennifer & Gary Budlow, Lynn & Lester Garson, Austine & Gary Heldman, Liz & Ron Krinick, and Bonnie & Douglas Winter. Thank you to our generous event sponsors, Hotwire Communications and HJ Sims, as well as our in-kind sponsors, Steve Greenseid Catering and Southern Glazer’s Wine & Spirits. For more information, please contact Jessica Epstein Matiash at jessicam@bocafed.org or 561.852.5054.